Movistar Yamaha Team rider Valentino Rossi admitted that MotoGP 2017 is a difficult season for him and Yamaha. Valentino Rossi was only capable of six podiums with only one win only when the race MotoGP Dutch. Problems on the Yamaha YZR-M1 and injury that could make him miss one race is a culprit of poor results Rossi 2017 season. Especially for motor problems, problems with the rear tire wear is experiencing a rapid solution was not even invented until the last series of the Valencia GP. Meanwhile, with 20 days left is Christmas, Valentino Rossi is hoping to get a special gift from Yamaha, the best motor. "At the last test, we move in the right direction. Now everything will wait until February. I want a powerful motor," said Valentino Rossi was quoted as saying Bolasport.com of GPone, Wednesday (12/06/2017). 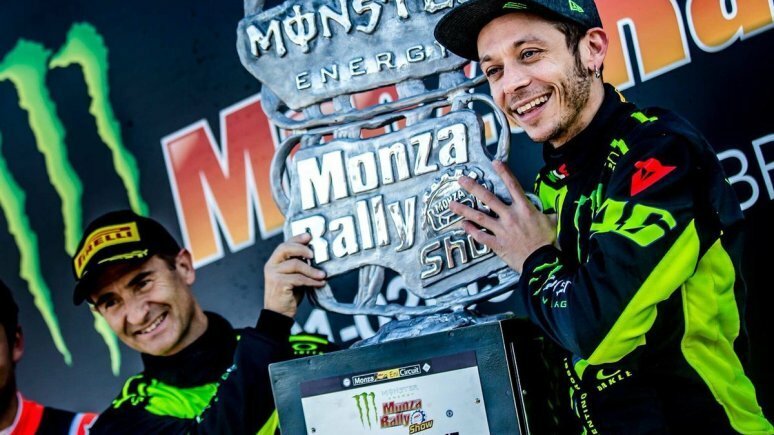 Before attending the event Monza Rally Show, Valentino Rossi along with Maverick Vinales had time to do a closed test at the Sepang Circuit, Malaysia. In this test, Rossi said that if the Yamaha YZR-M1 bike in 2018 will be based on the 2016 version.